Here’s how it happens: The helicopter pulls away from the ridge, wrapping you in an envelope of swirling crystals. 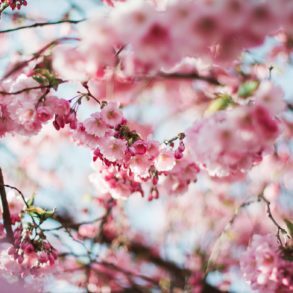 As the cloud dissipates and sound drifts off like a wind dying in the treetops, a weight is lifted from your life. Maybe you don’t feel it at first because the void is instantly filled by what you see—mountains on every horizon; nothing and no one in sight. But you feel it after that first run. The one where you ski down 1,000 metres in snow so deep and light it pours up and over your shoulders like water. It’s the best skiing you’ve done in a lifetime of great skiing. After any hand-wringing over the expense, or how good heli-skiing might be, or whether you’ll be able to handle it well enough that the guides won’t just leave you in a crevasse somewhere, your preconceptions will be dashed on the rocks of happy reality. With heli-skiing, expectations are so often exceeded they’re almost irrelevant.You’re left with sore legs and a warm glow. A glow that can last a lifetime. And when you’re taking a dream holiday you’ve looked forward to forever, do you really want it any other way? 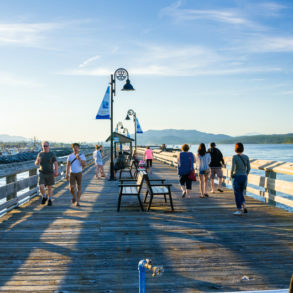 Here are five of BC’s best boutique operators to give you somewhere to start dreaming. In case you’ve dodged all visual representations of skiing over the past 20 years, here’s what you missed: pillow-skiing is officially a thing. And those keeping track of magazine and movie tag lines during that time know that the biggest and best pillows are found at a BC operation called Mica Heli Guides, two hours north of Revelstoke. 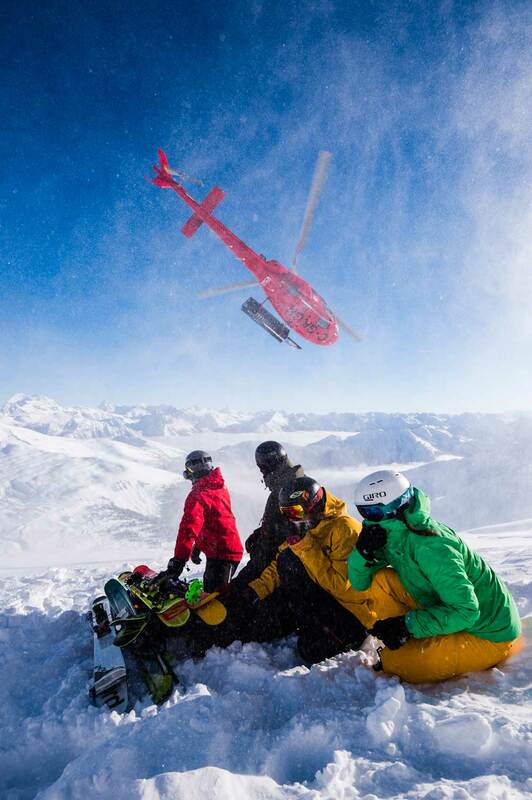 Mica Heli-skiing is world-famous for its heli-accessed pillow lines. Credit: Mattias Fredriksson. By the mid-2000s, everyone wanted to go to Mica the way everyone wanted to go to Fernie’s Island Lake Lodge in the mid-1990s. This was no coincidence. Launched in 2003, Mica was the latest venture of Island Lake founder Dan McDonald. Where McDonald had focused on redefining and elevating the cat-skiing experience at Island Lake, here he similarly refined small- group heliskiing, creating another legendary destination. From the edge of sprawling Kinbasket Lake you’re choppered across the water to a modern slate edifice that nevertheless seems not a bit out of place in the wilderness, its interior the kind of wood-beamed urban chic more often encountered in a boutique hotel. Mica’s 300,000-acre tenure abuts the western edge of the Rocky Mountains and features seven drainages packed with massive peaks and glaciers; looking east toward 3,300-metre Mount Clemenceau is like staring into the heart of the Swiss Alps. In the Molson drainage, the crazy, fluted peaks are pure Alaska; elsewhere are elements of the Coast Range and Himalayas. Up to 20 metres of snow annually makes for an earlier, deep- er, drier and more stable snowpack than much of the surrounding Interior. Around the corner from the lodge, Harvey Creek drainage is home to Mica’s most diverse terrain, including favourites like wide-open Harvey Hound and thigh- burning Big Willy, a descent of 1,600 vertical metres. Plus pillows—steep stepping-stones with names like Pillow Talk, Harvey Wallbanger and, of course, Mr. Wiggles— featured in so many films that even if they aren’t skiing there, guests will ask to be flown over to see it. Mica Heli Guides offers four- and five-day packages; prices by inquiry. If you followed ski movies in the new millennium, you’ve met Bella Coola Heli Sports, the one-of-a-kind operation in BC’s Coast Mountains with a perennial starring role in skiing’s history books— the fat ski was perfected on its precipitous peaks, and descents made here set a benchmark for big-mountain free-skiing. The accolades continue, as BCHS was voted “World’s Best Heli-ski Operator” at the 2017 World Ski Awards. Known for huge terrain and deep snow, more than mountains make BCHS special: there’s the deep history and culture of the Nuxalk First Nations, the excellent fishing on nearby rivers, and the abundant wildlife, including eagles and grizzly bears. Even being pinned down by a Pacific storm still feels like a serious vacation— pool games and movies in the historic and impeccably renovated Tweedsmuir Park Lodge; mountain biking in the lush valley; hiking to the startling petroglyphs of Thorsen Creek; frisbee golf, archery, fishing, hot-tubbing and hilarity. Several years ago BCHS opened a second, even more mind-blowing tenure based out of Pantheon Heli Ranch. The Pantheon Range surrounds Mount Waddington, highest peak in the Coast Range; here, vistas are so mind-boggling, glaciers so titanic, mountains so Himalayan in scale, that carving powder down their flanks warps the puny human perspective. With Hollywood films like Seven Years in Tibet and K2 shot on their ramparts, the Pantheons deliver heli-skiing on a different scale with a twist—small-group experiences based from the rustic luxury of a working cattle operation. 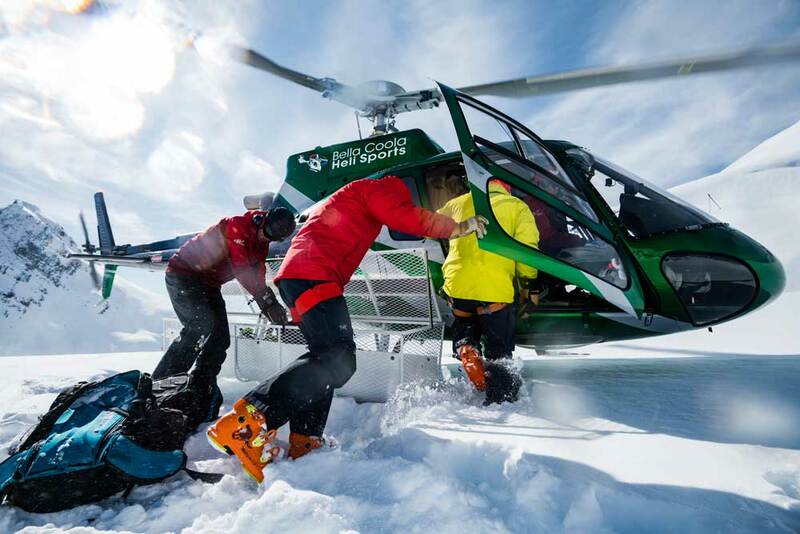 Bella Coola Heli Sports is well known in ski movie circles. Credit: Mattias Fredriksson. BCHS recently launched a second, even more exclusive Pantheon base—Mystery Mountain Lodge at Sand Creek Ranch— gateway to an enormity of unexplored terrain. 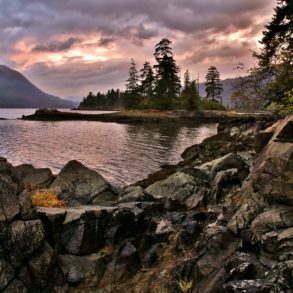 With the addition of yet another new facility on the coast, Eagle Lodge, that makes four bases in four stunning locations an hour flight from Vancouver. With potential first descents on every ho- rizon, naming runs here is part of the plot, meaning you’ll not only experience ski history, you’ll help write it. Man has always wanted to fly, and when he invented skiing—lauded as the closest thing to flying without leaving the Earth— he came damn close. It took immigrant Swiss mountain guide Hans Gmoser’s vision of soaring through a mountain wilderness on wings to experience true freedom on skis to link these ideas. In 1965, Gmoser ran the world’s first heli-skiing week in the Bugaboos, a subrange of the Purcells an hour south of Golden whose name will forever be synonymous with an experience that participants immediately found transcendent, and which birthed an industry. Gmoser’s Canadian Mountain Holidays (CMH) would go on to operate a dozen heli-ski lodges and put BC on the global ski map as a powder paradise. 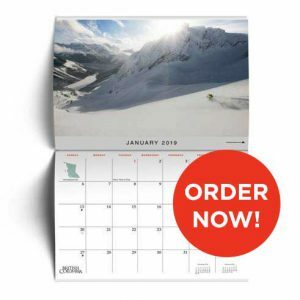 CMH remains in the dream-delivery business—the dream of enjoying a perfect powder day in spectacular mountains with friends—a notion that has existed since skiing’s beginning. Gmoser passionately conveyed this as a mountain guide—whether evangelizing with clients, or to a crowd while touring his movies about climbing and skiing. When he eventually employed a helicopter to re-imagine skiing in the service of these ideals, it changed everything—and nothing. The historic and spectacular Bugaboos lodge is part wilderness luxury and part paean to a sport. The best runs here drop 1,200 metres from long, lolling glacial saddles to the valley. Beginning in the eye-opening high alpine, you tip into massive glacial troughs where you can ski at any speed you dare before angling down valley walls, aprons and ridges into the kind of burns and glades BC is famous for. To cap off your day, en route back to the lodge, you might land in the magnificent amphitheatre below the iconic granite faces of Bugaboo, Snowpatch and Pigeon Spires, where you’re sure to share Gmoser’s vision. Heli-skiing was born in the Bugaboo subrange of the Purcell Mountains south of Golden, and Rudi Gertsch is a living pioneer who remains at the industry’s forefront. Gertsch arrived in Banff from Switzerland in 1966, landing a job as a climbing guide with Hans Gmoser’s original CMH crew. Immediately drawn into Gmoser’s new passion, heli-skiing, he learned the ropes of a nascent business during its discovery years. Gertsch struck out on his Gmoser’s vision. own in 1974 with a day-ski heli operation on the edge of town from which he could drive home at night. 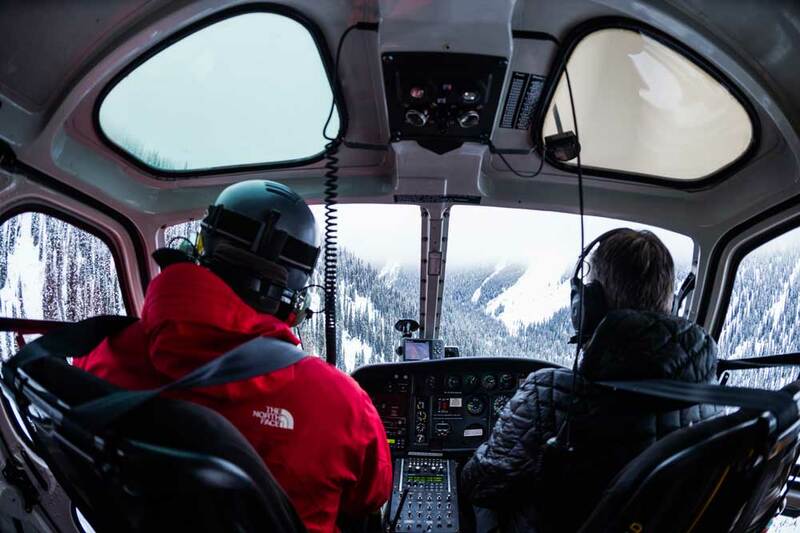 Purcell Heliskiing has since become an iconic family business, with son Jeff—who first heli-skied at age three—as lead guide. Gertsch’s half-century of guiding has been interesting enough to inspire a book by the Alpine Club of Canada, as well as turn his original Purcell Lodge base into a museum filled with iconic powder skis, old climbing gear and mementos like sketches and woodcuts. The Purcell Mountains fea- ture dramatic, smooth-sided stone towers punching up from wide alpine bowls. With an abundance of dry snow and over 2,000 square-kilometres of mountainous terrain for their exclusive use, a 10- to 15-minute flight transports skiers to an vast, empty, pristine winter landscape. Purcell has over 250 named runs covering every conceivable type of terrain—wide-open glaciers, high-alpine bowls, gladed subalpine, open cutblocks and steep trees. Scattered throughout Purcell’s tenure are hand-built cabins used for lunch stops.You can enjoy soup and sandwiches on a porch facing some of the runs you’ve just skied. Purcell recently moved its base across the valley to a private heli-pad at Kick- ing Horse Mountain Resort. It’s still day skiing, but now you can heli-ski in/out of your accommodations and also have the impressive inbounds skiing at Kicking Horse at your disposal. If Jason Rempel suggests it’s a few degrees colder in the Purcells than it is in the Selkirks—each on opposite sides of Kootenay Lake—you believe him. Born in historic Kaslo, midway along the 100-kilometre lake an hour north of Nelson, and raised in Meadow Creek, the tiny rural community capping its north end, he’s lived his entire life sandwiched by these two storied ranges. Consequently, he knows where and when to find good snow. In high school, Rempel wrangled a dishwashing job at Meadow Creek’s Selkirk Wilderness Skiing—the world’s first cat-ski operation when it opened in 1975. Ski guiding became a singular focus, achieved by the tender age of 21. Immersed daily in Western Canadian can-do spirit and the wild cowboy atmosphere of dreaming big and skiing bigger, Rempel worked his way up to operations manager. By the time he left in 2014 to focus on Stellar Heliskiing, the business he’d founded in 2005 with life-partner Kerry Luckey, he’d spent 23 years guiding thousands of people from around the globe. With 80,000 skiable acres and six zones spread over two ranges to play around in, Stellar offers a unique backcountry experience with options aplenty. The 18-plus-metres of snowfall each year is some of the deepest and driest in the world. With terrain rising to over 3,000 metres, you can ski wide-open bowls, high-alpine peaks and magnificent old growth forests. The Purcell side alone delivers jaw-drop high-alpine runs like Merino Man, Slick Willy’s, Ghengis and a massive, glacier-hewn apron named Big Boy that itself holds a day’s worth of lines. Surveying some of the 80,000 skiable acres in the Stellar tenure. Credit: Mattias Fredriksson. 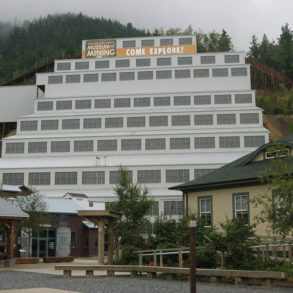 Though future plans include a dedicated lodge and maybe cat-skiing, for the time being Stellar continues day-trips and multi-day packages based out of the movie-set-worthy Kaslo Hotel, a historic structure refurbished to four-star levels. 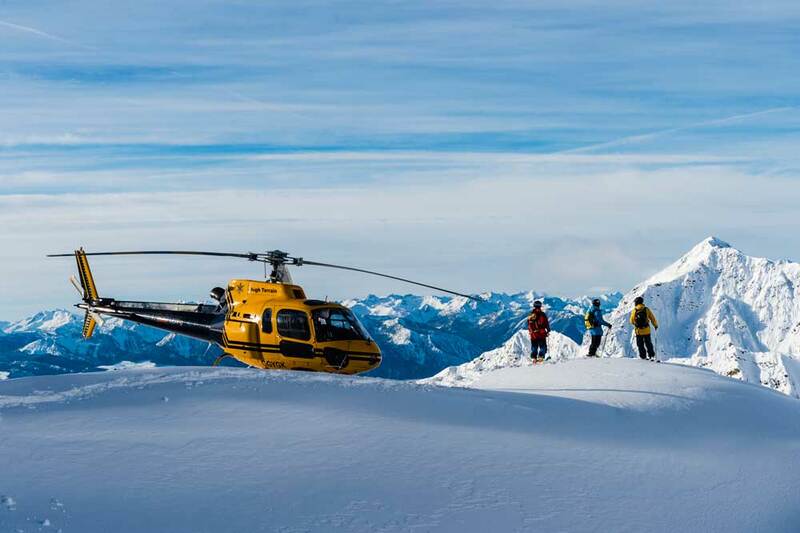 Stellar Heliskiing offers two- to five-day packages; prices by inquiry. This article was featured in BC Mag's Winter 2018 issue. Order it from our Shopify store now (while supplies last) or subscribe to our Digital or Print & Digital editions to gain access to the archives going far back as Summer 2015!